Nice watch. Can we get a pic of the inside and outside case back? Looks like the movement model is 11A?? (at one o'clock in movement picture), and I think I'm seeing an L5 below unadjusted/swiss? Awesome !!!! Thanks for the information gentalmen. Good 1955 ad match....right down to the stepped lugs. It has Swiss below the 6 on the face, does this mean the movement is Swiss ? There are very strict laws governing the use of the word "Swiss" as it relates to watches. I'm not sure if I know how it applied to Bulova in the 1950's but it generally means that either the watch was assembled and finally inspected in Switzerland or that the movement was manufactured AND encased in Switzerland. Hopefully someone can expound in greater detail as I know a little bit more about watches than Swiss law. Agree with Navigator; chrome case, hard to find them in such nice condition as yours. Hello Jassonov_67, welcome to myBulova. Your watch is in very nice condition, I like it. I agree with a Navigator ID. This has to be my all time favourite dial on vintage Bulovas. 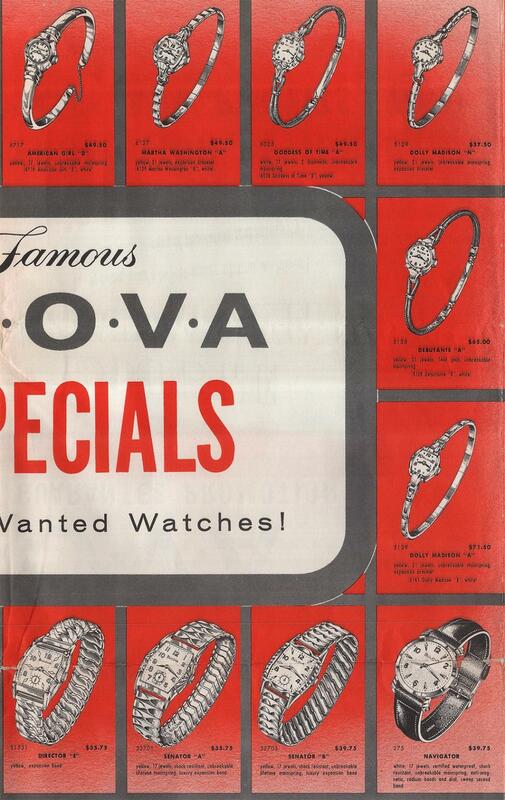 The movt, an 11AC, was Bulova's own, in house if you will. This is not to say it is US made, it is Swiss made in their own factory, and is stamped as such on the barrel bridge. Navigator for me, and a very nice watch indeed.